The Quiltzette: Customer Appreciation Day This Friday! Avoid the Black Friday frenzy and join us the day after Thanksgiving for our annual Customer Appreciation Day where you can . . .
(1) Complete your holiday wish list to be entered for a chance to win a $50 gift certificate. (2) Pick up your Customer Appreciation Day (CAD) coupon booklet – free with a $25 purchase! That’s right, this year it’s a booklet packed with coupons for great deals on fabric, notions, patterns, classes, and more. If you are not going to be in town on Friday send in a friend or neighbor with $25 and have them buy a gift certificate in your name for you. We will give that person your coupon book to pass on to you. This is the ONLY day we will be giving out CAD coupon booklets. (3) Cast your vote for the Chickadee Challenge entries. We will be closed on Thanksgiving Day. Have a wonderful celebration with family and friends and we will see you on Friday! 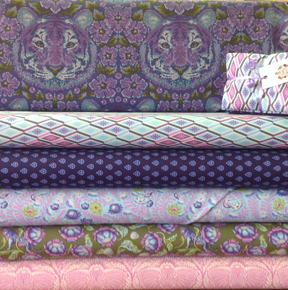 Tula Pink is a young, up-and-coming fabric designer. Here is one of her collections that we received last week. Note the tiger faces. This piece of fabric looks like needlepoint. The whole collection is really lovely. This beautiful collection also arrived last week. Ten fabrics total in the group. Very pretty. 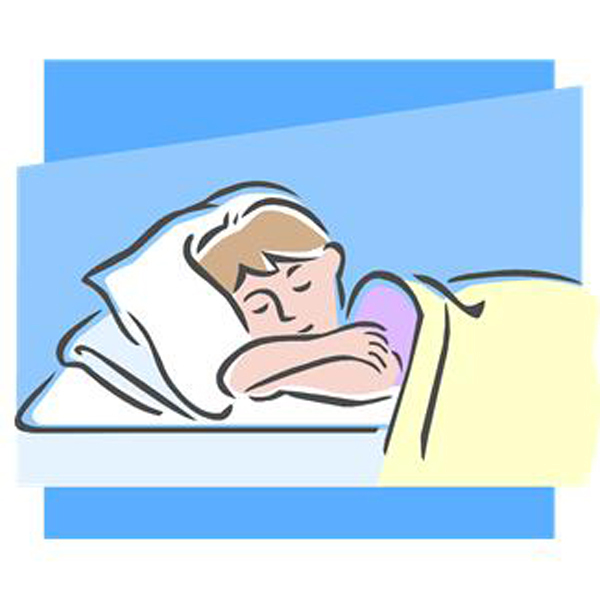 Kids and adults alike love receiving pillowcases during the holidays. Join us for this evening class when Aimee King will teach you how to make beautiful pillowcases using the “hotdog” method – quick and easy. No pattern required; we provide written instructions. 10 a.m. – 1:30 p.m. OR 2:00 p.m. – 5:30 p.m.
For our first free holiday make-and-take class Cindy Dahl will teach this cute project called Style File. 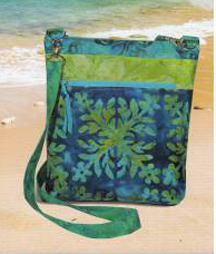 Store your important papers and/or tablet computer in this zippered bag. It features an open pocket on one side and a smaller closed one on the back. Fun and functional. These will make nice gifts. This bag is so cute! Measuring 10 1/2 x 10 x 2 inches, it features a unique collection of pockets including one zippered one on the outside of the bag – perfect place for your keys and phone. Zippered close top, too. Judy Bryan will teach this class. See the sample she made at the shop. 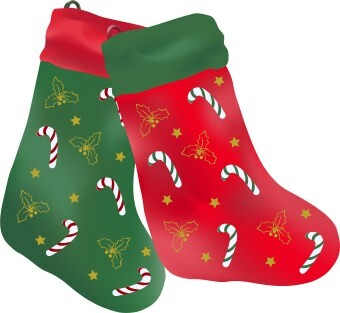 Make a cute quilted stocking for yourself, a friend, a sibling, or even your cat or dog! In this class you’ll learn machine quilting and how to put on the stocking cuff and loop hanger. Some of the holiday specials from BERNINA are carried over from last week and one new one begins on Friday, November 27th. The tiered savings is carried over as follows . . . This tiered savings offer expires on WEDNESDAY, November 25. That's this week. Don't miss out. And then, starting on Friday . 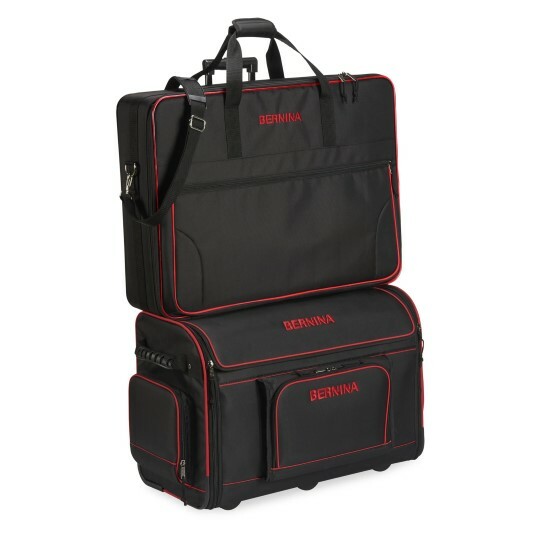 . .
Purchase the BERNINA 790 with embroidery for $500 off and receive a FREE suitcase set. Now that's a really good deal! 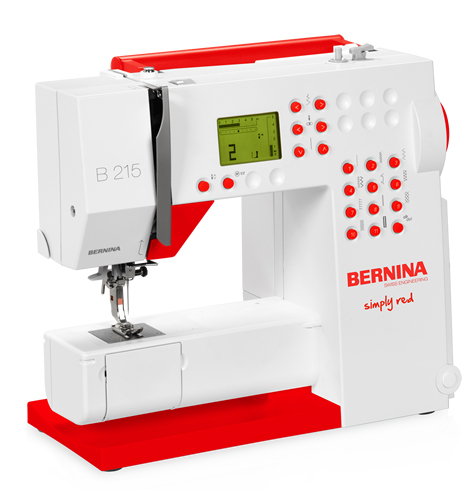 Also, the BERNINA 215 Simply Red (pictured here) is marked down to only $699 for the entire holiday season. This machine makes a great gift for a new sewist/quilter and is also the perfect machine to take to classes, retreats, and on trips. Treat yourself or someone else to the 215 while the price is as low as it will ever be. Embroidery software is 25% off through December 31. If you've been thinking of buying or upgrading to DesignerPlus 7 or EditorPlus 7 this is the perfect opportunity. In addition to the official BERNINA holiday promotions, we're offering one of our own. 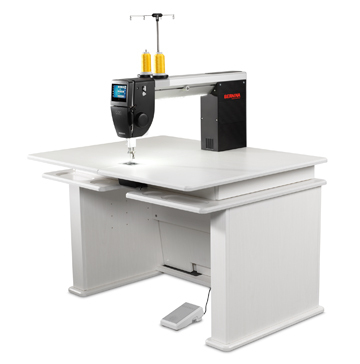 Have you had your eye on the new Q20 sit-down longarm? Well now is the time to act. Through December 3 ONLY take $1,000 off this beautiful quilting machine. It's delivered right to your home and then we come out and set it up for you with the beautiful Koala table that's available in eight different finishes. 60-month zero percent financing is available through December 3. Applying for a BERNINA account is quick and easy. Come by the store to complete the one-page application and have your answer in a matter of minutes! 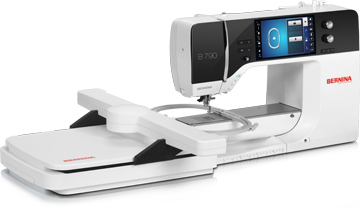 Plan to join us on Tuesday, December 8 to learn about the applique options in BERNINA Software 7. We will create an original applique design, convert an embroidery design to applique, and use an art file to create an applique design. We will watch a video and walk through a couple of exercises. 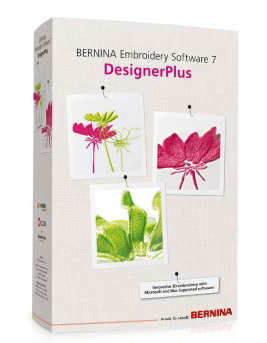 Bring your laptop loaded with Bernina Software 7. Register in advance by calling the shop at 565-7541 or by sending an email to Cindy. If you don't yet have software for your machine and you're curious about what it can do, please come to this event. You'll be wowed! We've had this pattern for a while and finally got around to making a sample. It turned out beautifully and we have two kits available in this colorway. 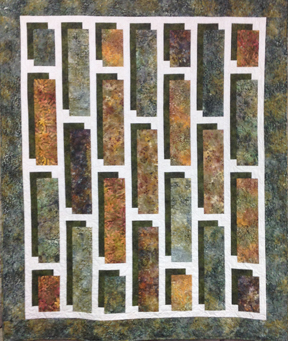 This quilt is 68" x 81" and goes together very quickly. The kit is $119. We can also help you choose fabrics to make this in another color combination. 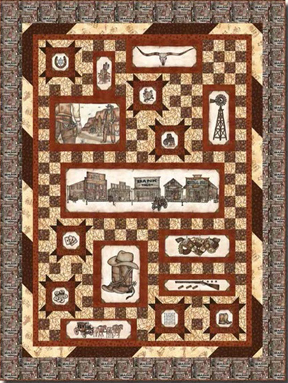 We know this quilt will be a hit in our area. 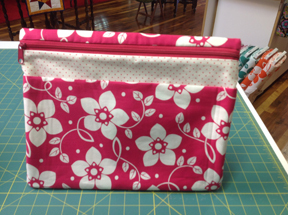 The sample is with the quilter and will be back in the shop next week. In the meantime, here's an image. It measures 78" x 102" and we have 11 kits available. Get yours today for only $159. 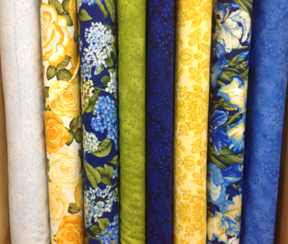 We also have the two panels used in the quilt in stock, along with several coordinating fabrics on the bolt. One of our certified sewing machine technicians, Dion Hollenbeck, wrote this article of how to deal with tension issues. Many repair issues reported when a machine is brought in for service can be fixed by attention to “TNT” (thread/needle/tension). When we Clean/Oil/Adjust a machine technicians return the machine to “standard.” For this, we use a standard fabric, a new standard needle, standard thread, and a few standard stitch patterns. Any subsequent change to thread, needle, fabric and/or stitch pattern may require tension adjustments by the user to account for these changes. When we service a machine, we set the bobbin and top tensions so that a standard straight stitch is as close to perfect as possible on that machine. The definition of perfect is that both top and bottom threads meet in the exact center of the fabric and no top thread is showing on the bottom of the fabric and no bottom thread is showing on the top of the fabric. We then test several other types of stitches, zigzag, decorative, etc., depending on what the machine is capable of. For certain changes to thread/needle/fabric/stitch, the user will need to adjust the tension so that the stitch being used is as close to perfect as possible. This may require several top tension adjustments followed by a test sew, repeated as many times as necessary to obtain a perfect stitch. In the majority of instances, the bobbin tension should not need to be adjusted. Increasing the top tension will pull the bobbin thread up toward the top of the fabric, while decreasing top tension will pull the top thread down toward the bottom of the fabric. To read the complete article and keep a copy for future reference, click here. It's also on the Service page of our website.